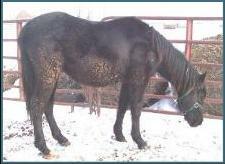 Natural Horsemanship methods work wonders on problem horses and rescue cases. Click here to see some of our success stories. Here at Siberia Farm, we raise and train high-quality Welsh Cobs, Welsh crosses, and pinto sport horses and ponies. We also offer a variety of clinics to help create a better understanding and relationship between horse owners and their equine partners. 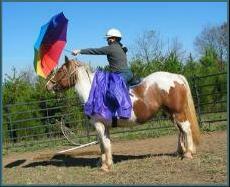 We offer private training sessions for individual horses and owners. We always start with groundwork, emphasizing communication, confidence, and respect. Using humane, Natural Horsemanship methods, we can show you how to start that youngster, restart a "pasture-potato," change unwanted behavior, and establish a clear method of communication to improve all aspects of your horse's performance. Click here for more info. At your farm or ours, we create customized clinics for small groups. 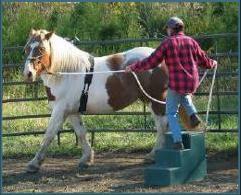 Improve your horsemanship skills, or host a fundraiser for your farm. Clinics include: Starting Young Horses, The “Naughty Horse” Clinic, The “I Always Wanted a Horse” Clinic, Painted Pony Parties for children, and Leadership seminars for adults. Reasonable rates. Phone to discuss your needs. Click here for more info. 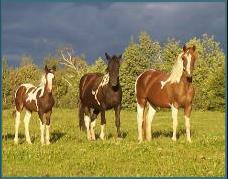 We offer a variety of foals, young stock, and started horses and ponies for sale at reasonable prices. 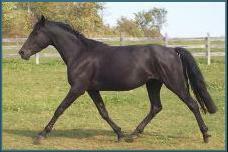 Welsh Cobs, Welsh crosses, and pinto sport horses are our specialties. 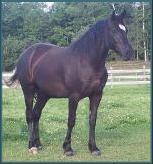 Our goals is to produce sound, sane, beautiful horses with good movement and great temperaments. Click here for more info. Horses are the heart of the farm. They are my lifelong work and my lifelong love. Click here to meet the horses and ponies of Siberia Farm!